The Next Big Thingis a blog meme going around in the blog-o-sphere, and Cammy at Tippy Toe Diet asked if she could tag me to keep it going, sort of like Friendship Bread only carb-free! Cammy’s Next Big Thingis a gathering of goals she’s put under the umbrella of “daring greatly.” She was tagged to continue the meme by Sharon at Midlife Moments, whose Next Big Thing is menopause. My Next Big Thingwill make noise. Literally. And I hope to god my mother isn’t reading this. This is the Irishman’s Harley, a 1999 Sportster 883, that I’ve had the pleasure of riding on the back of only once and only briefly because spring didn’t get the groundhog’s memo that it’s supposed to start warming up. 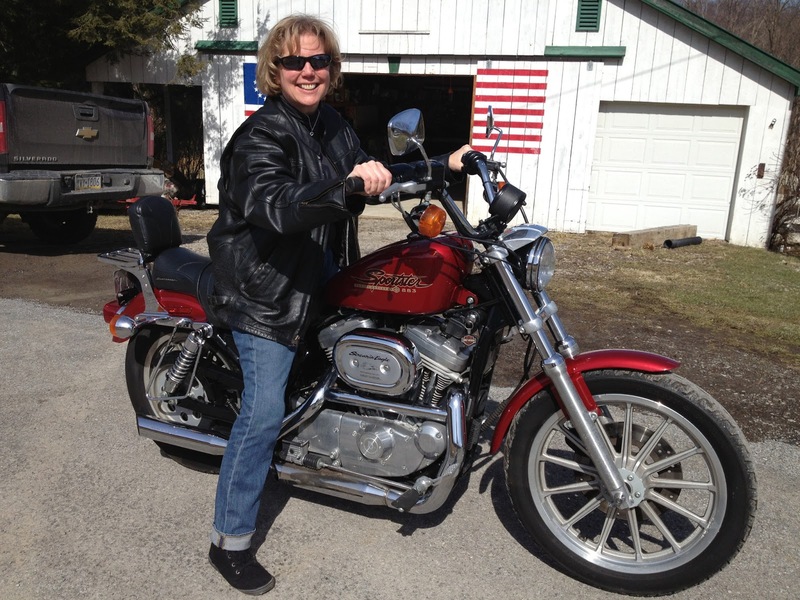 I rode on the back of a motorcycle for the first time two years ago (see “A Mental Miracle”) and went from scared-to-death to badass-in-love in zero to 60. Motorcycle Owner and I only dated for a few more months, so I didn’t get too much additional riding time, but the thrill of the ride never left me. Knowing this, a friend suggested I take the a Motorcycle Safety Training class after he took it and bought a used Honda Sportster last year. It seemed absurd at the time. Learn to drive ride a motorcycle? Such a foreign concept. As liberated as I am, driving riding a bike seemed like a guy thing. Women rode on the back. But a seed was planted, and like the crocuses in my yard – despite the wicked weather – it will bloom. 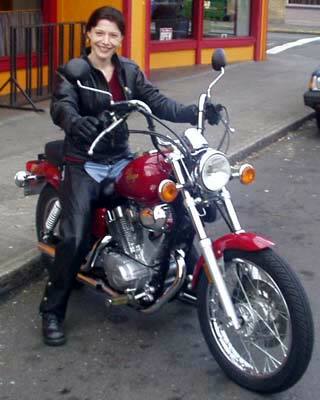 One in 10 motorcycle owners are women. Not great stats, but those women are out there, and I am determined to join their ranks. I just have to learn how to drive ride one first, something I know almost nothing about. But, hey, I didn’t know anything about driving a stick shift when my dad took me with him to test drive a 1974 Mustang in 1980 when I was a junior in high school. He drove us to a parking lot, got out of the car, and said, “If you drive this back to the dealership, I’ll buy it for you.” Believe me, I learned REAL fast how to drive a stick. When I married farmer Bruce, he taught me to drive a skid loader, an old Ford pickup with the stick on the column (the 3-speed “H” pattern), a tractor, and a 10-speed Mack truck. Getting behind the wheel of an enclosed vehicle is always fun. But there are no steering wheels on motorcycles. Or doors or windows or anything holding you in. You shift with your left foot, including your toes, and you brake with your right hand as well as your foot, and people warn you about how dangerous they are and they call people who love motorcycles “organ donors” and you’d think that would be enough to scare me away. But it doesn’t. This is just the kind of challenge I’ve been looking for. Something so outside my comfort zone that I need field glasses to see it. It also gives me something more fun than my 2013 taxes to save for. 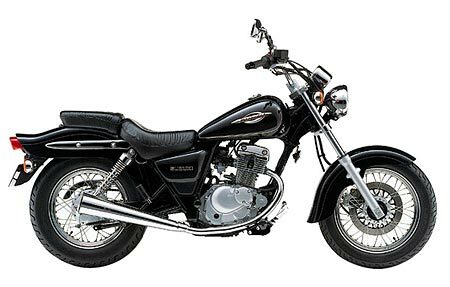 I’ll start small (and used), perhaps a Suzuki Marauder GZ125. It weighs what I did at my heaviest! 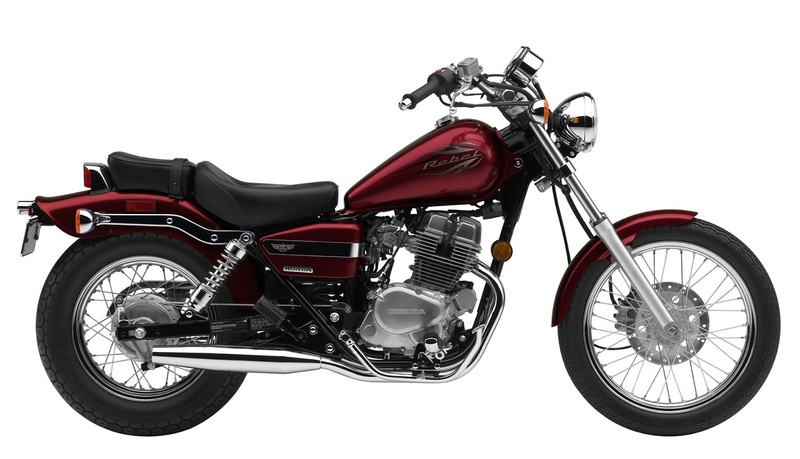 Or a Star Motorcycles V Star 250. Look how awesome she looks driving that! Or a Yamaha Virago 250. Not sure I can pull off leather pants, but I’ll definitely get chaps. So there you have it. My Next Big Thing. I promise I’ll do everything within my power to stay safe. In the meantime, I’m hoping for warmer weather very soon so I can start riding on the back of that Harley and begin learning all I can about driving it one day. I’ve tagged Sharon from Gains and Losses: Life ThroughSharon’s Eyes to keep this Next Big Thing chain going. I just know she’ll come up with her own uber cool challenge! This entry was posted in Uncategorized on March 27, 2013 by Lynn Haraldson. Wow! Very fun. I'm kinda halfway between wanting to do that and “its too dangerous.” For a long time after I moved up here, I wanted a little motor bike. I think they seemed safer (LOL, probably weigh LESS than me) and the gas savings! I might have to re-think that idea with the ridiculous price of gas now. You are a bad mama-jama, Lynn! So now that I agreed to be the one you tagged, that means I actually have to put my “next big thing” out there which means I actually have to do it. In what moment of insanity did I agree to do this?? All I'll say is my “next big thing” has wheels too. More than two and less than eighteen!! We have a scooter, which is actually quite fun to ride both passenger and driver. I need to get my license for the one we have now as NY requires it because the engine size on this scooter is bigger than a moped. Wow…You amaze me! First the nose stud, and now this? When you got your nose pierced, I seriously thought about doing it, too. A nice, rebellious way to show the world that you can do what you want. I like that. A motorcycle? I just can't do it. Maybe I am a scaredy cat… Maybe I DO need to think of something daring and challenge myself to do it. I might be missing out! So!Much!Fun! I haven't ridden in years, but it's incredible fun. I have the scars to prove it, too! Have fun with your next big thing, Lynn! I'm surely going to have fun reading of your adventures! Love it! We only call those without helmets organ donors! Have fun and enjoy the Next Big Thing! I wish you good luck on your next big thing! I hope your husband's going to teach you so that you'll feel comfortable and safe. He He. Wear your helmet and drive safely! Not too fast, to avoid accidents and stuff. Enjoy! I have a couple girlfriends who are avid bikers. Both are grandmas. Kaki, get the nose ring!! And go scuba diving! SpunkySuzi, when's the last time you rode? I hope you find someone to ride with. The Irishman and I took his bike out for an hour yesterday. We pushed the season a bit since it was only about 50 degrees and windy, but the sun was shining and it was soooo beautiful and we've all been beaten down by winter, so we hit the road. I have the wind-burned face to prove it! What fun we had, though. There is nothing like riding a bike on the open road. Go for it girl!